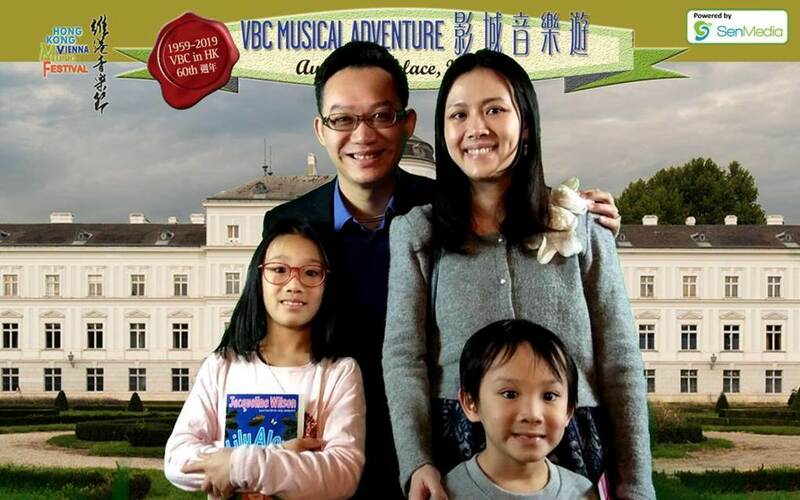 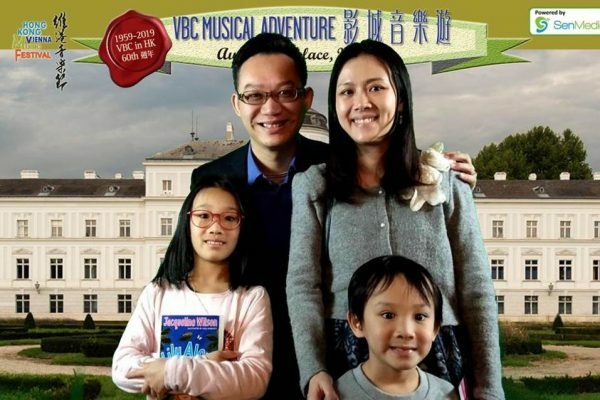 It was great to have chance to provide Virtual Studio Photobooth to Vienna Boys Choir by using Chroma Key Technology. Chroma Key Technology is a visual effects/post-production technique for compositing two images or video streams together based on color hues (chroma range). 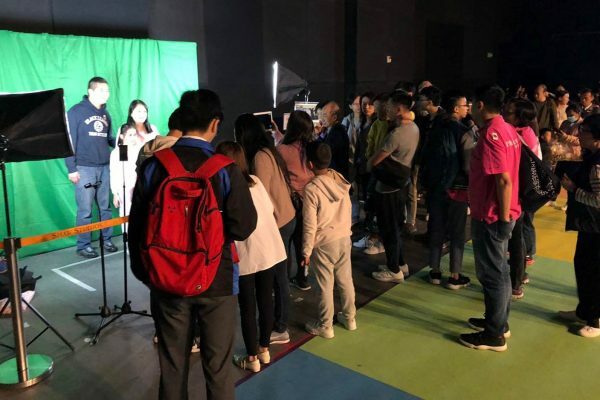 The technique has been used heavily in many fields to remove a background from the subject of a photo or video – particularly the news casting, motion picture, and video game industries. 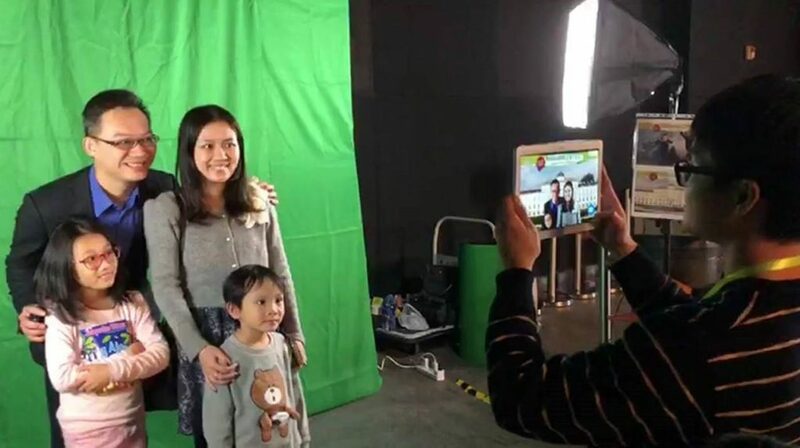 Many people, especially kids, loved playing our photobooth so much. Introduction to Augmented Reality (AR) and how it works. 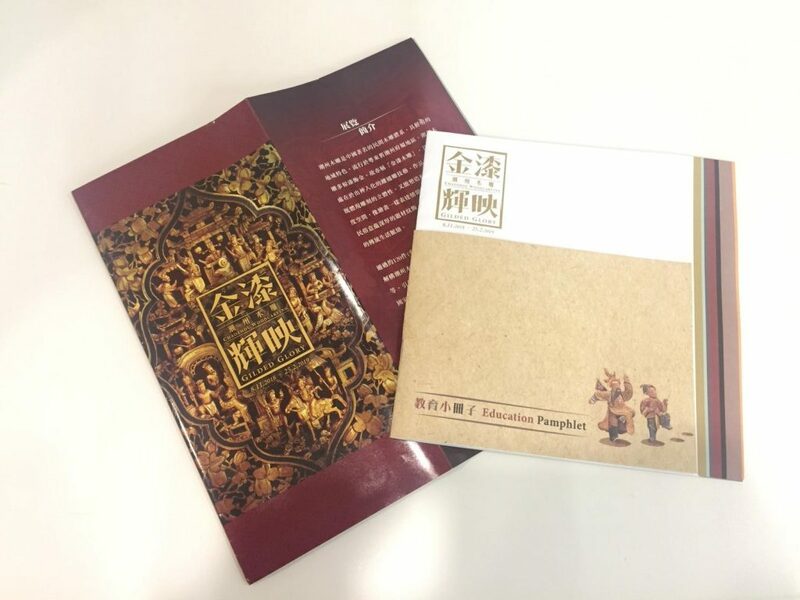 Chaozhou woodcarving is a well-known school of woodcarving in China. 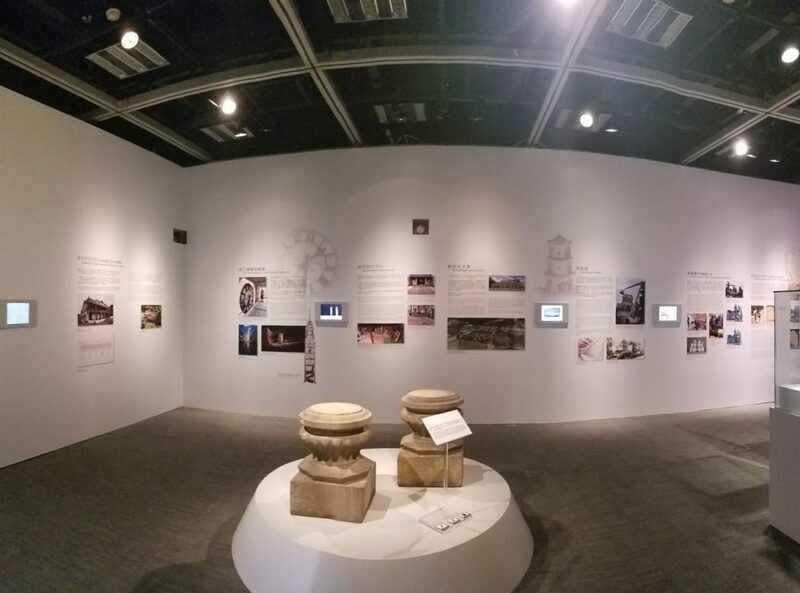 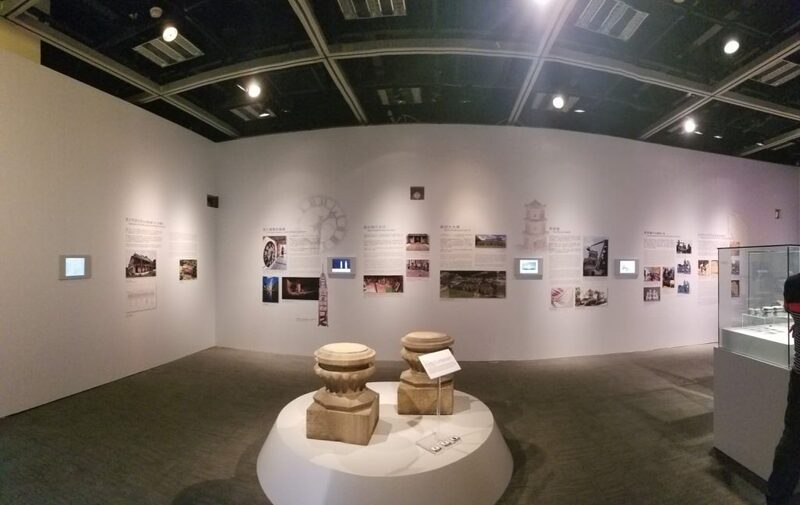 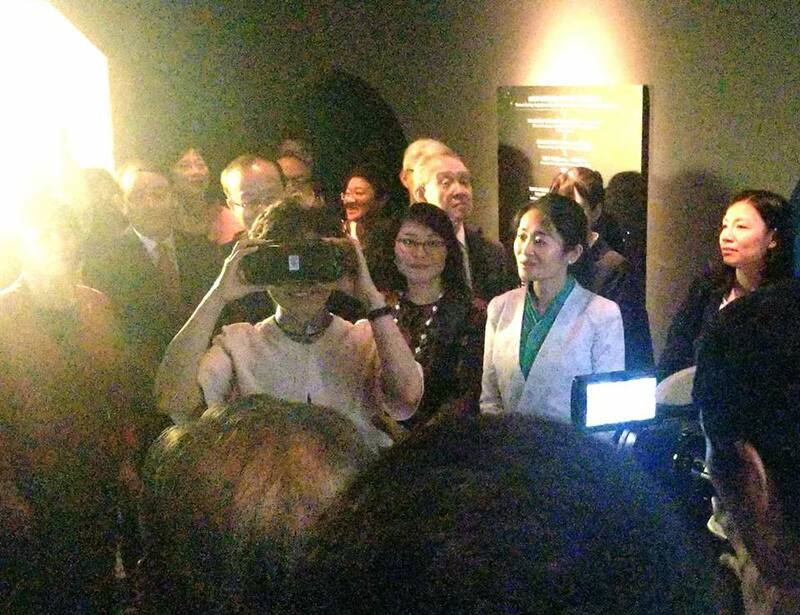 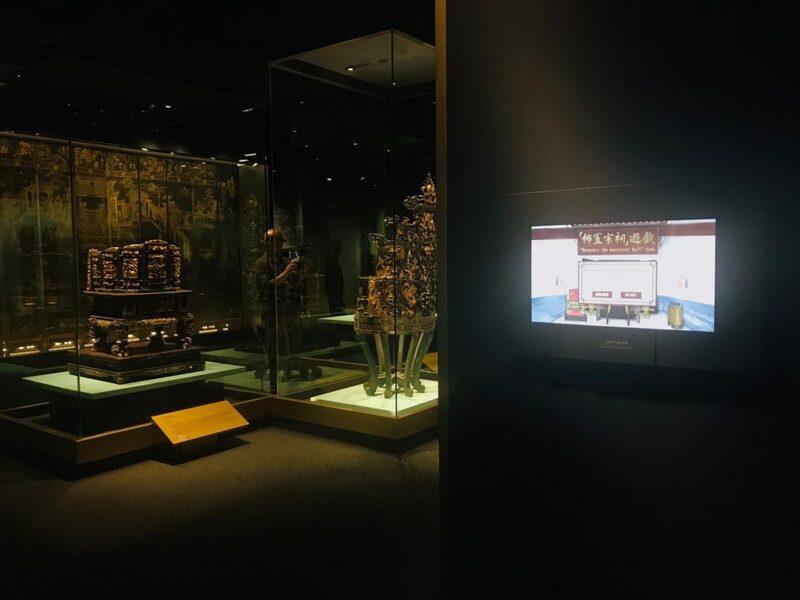 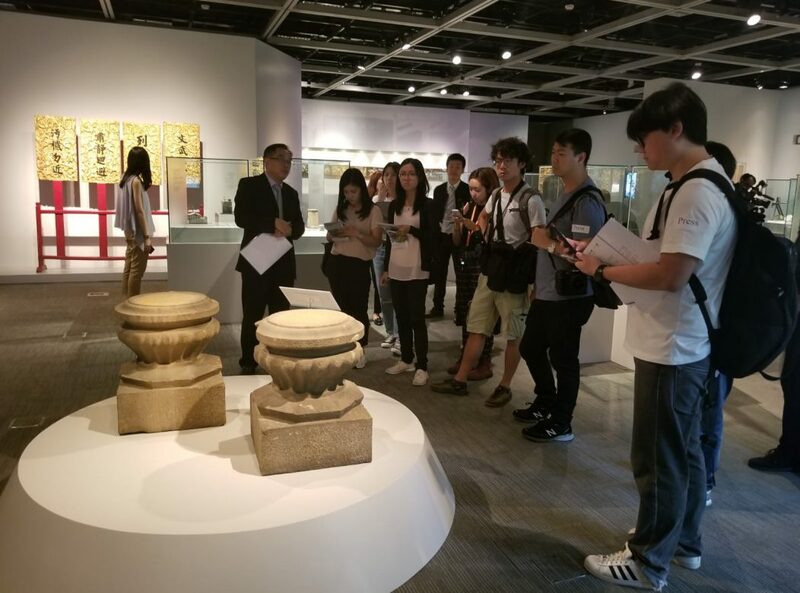 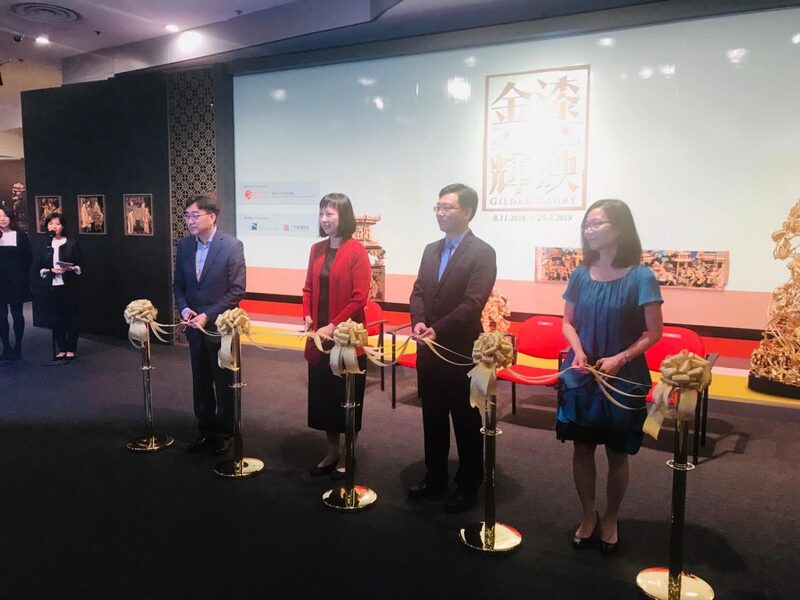 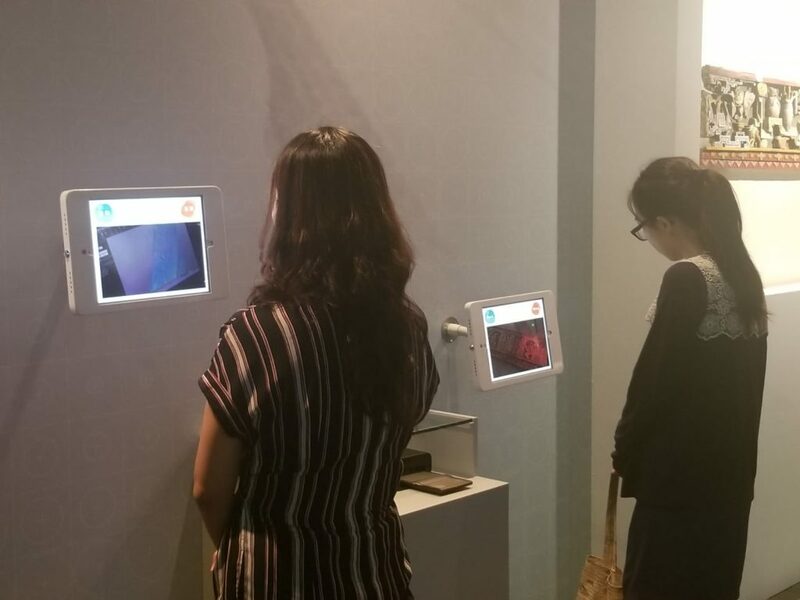 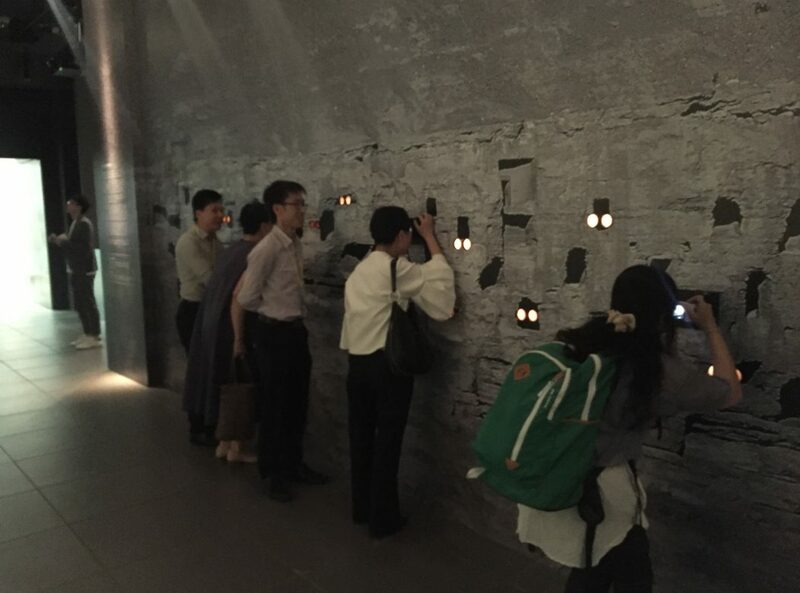 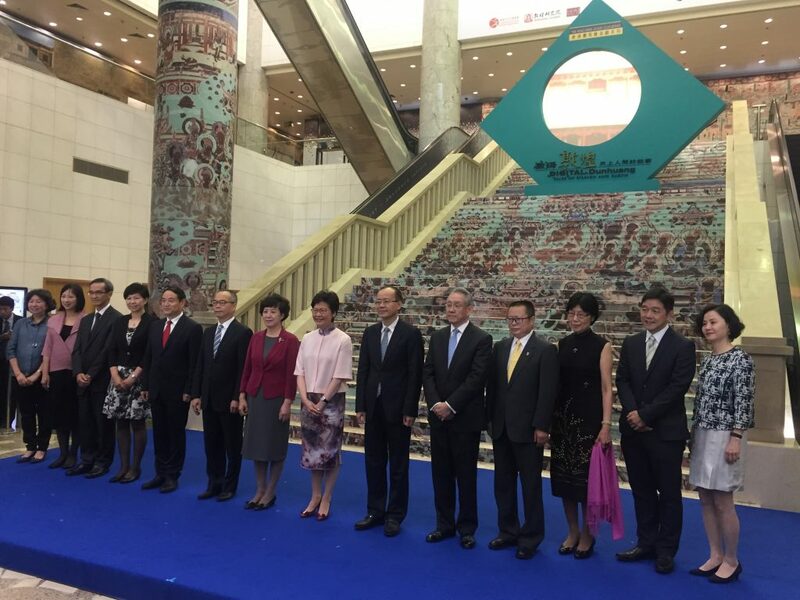 SenMedia is pleased to design and developed the interactive exhibits for the Hong Kong Musuem Of History for this special Exhibition. 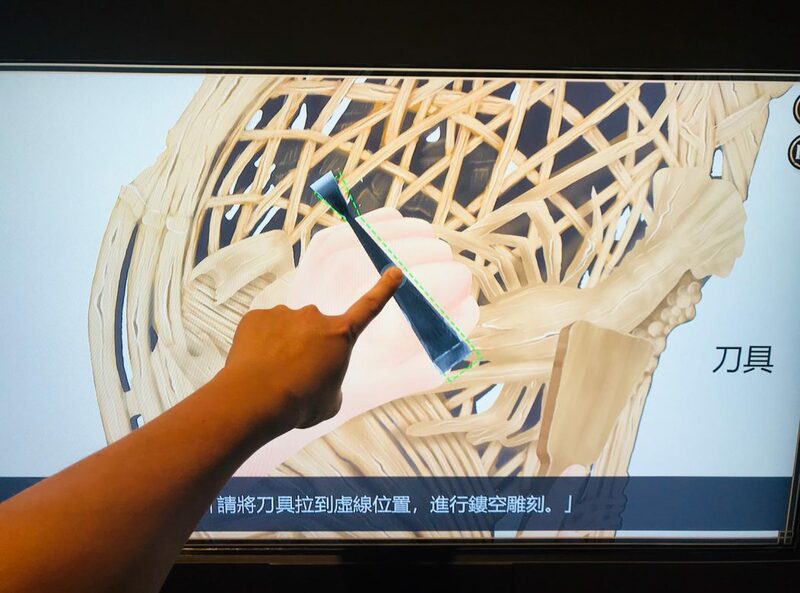 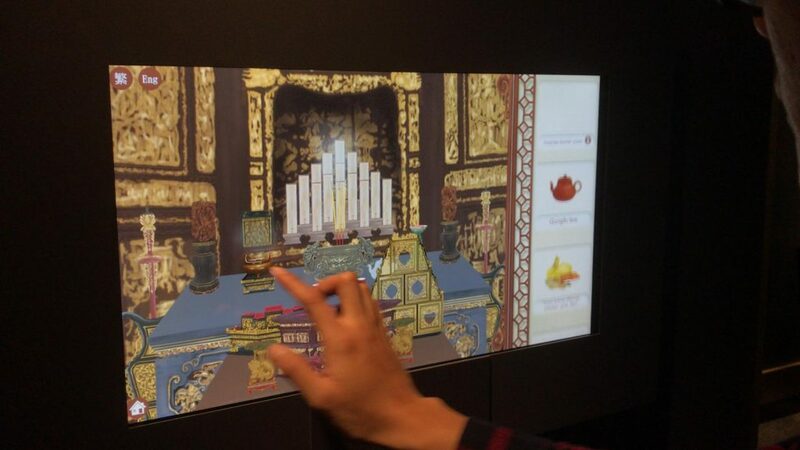 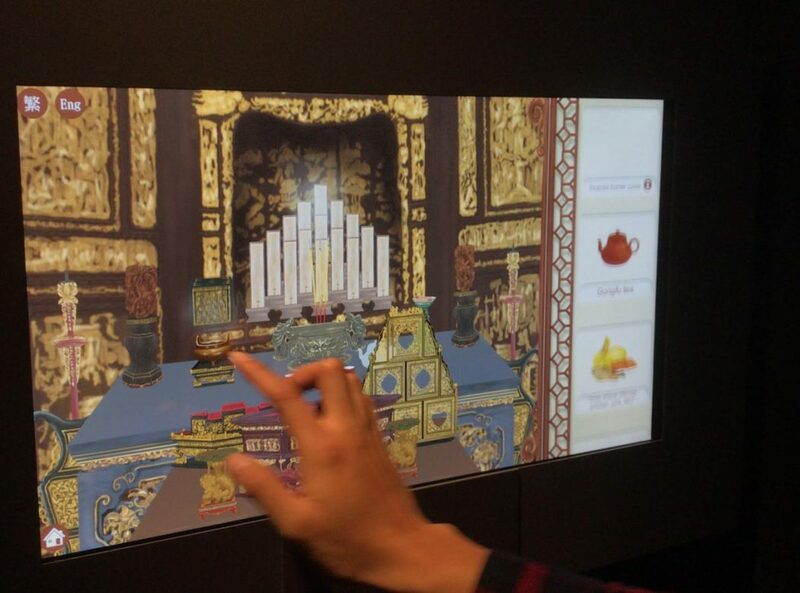 People is able to understand more about Chaozhou woodcarving by our interactive solution. 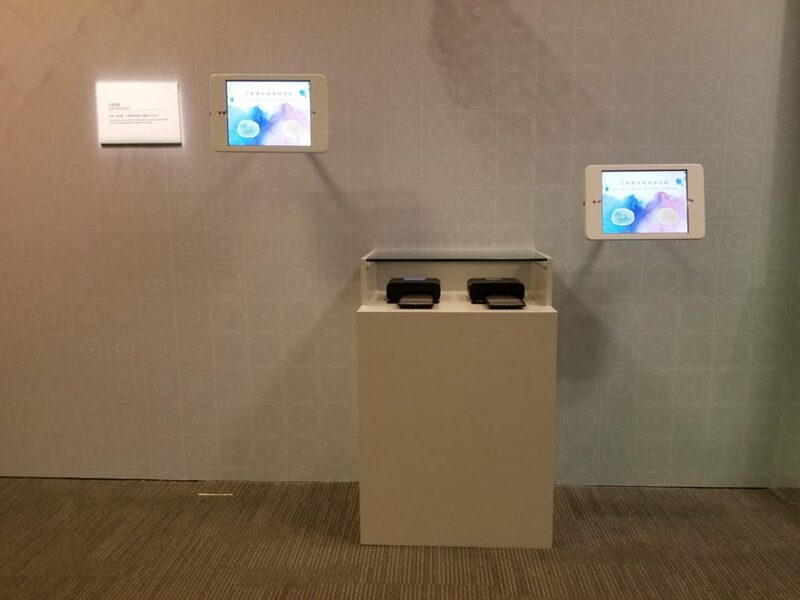 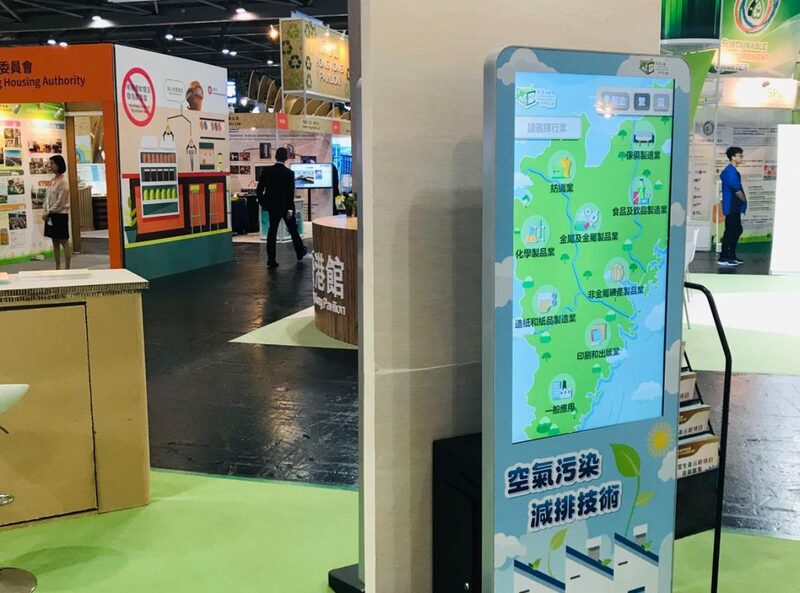 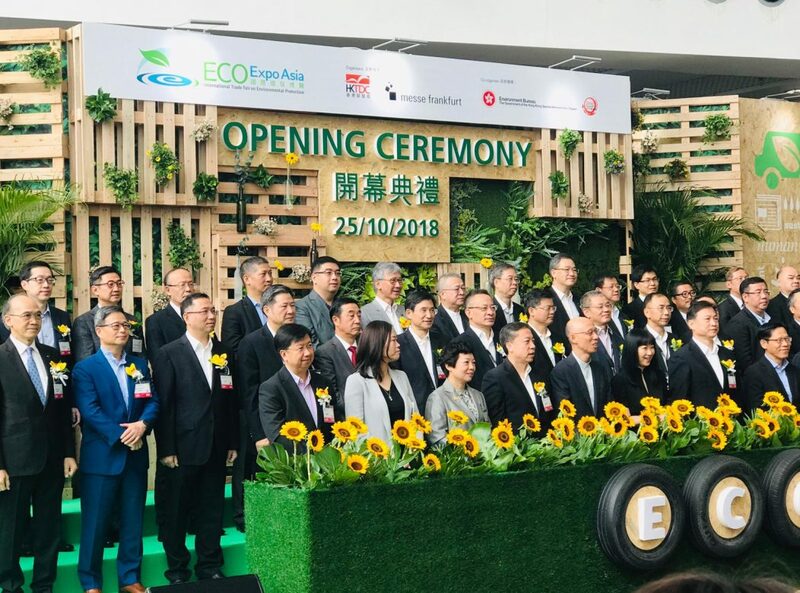 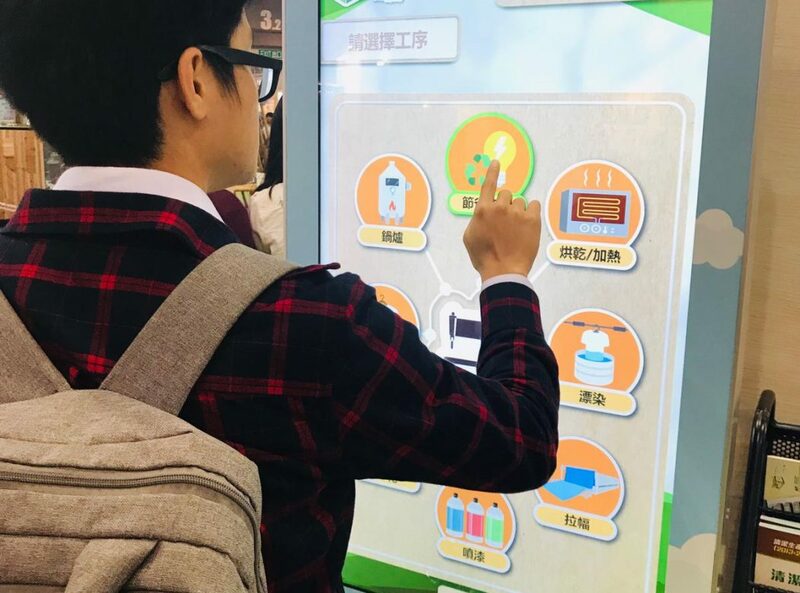 SenMedia is pleased to provide two smart interactive kiosks for The Hong Kong Productivity Council (HKPC) and the kiosks demonstrate proven Cleaner Production technologies. 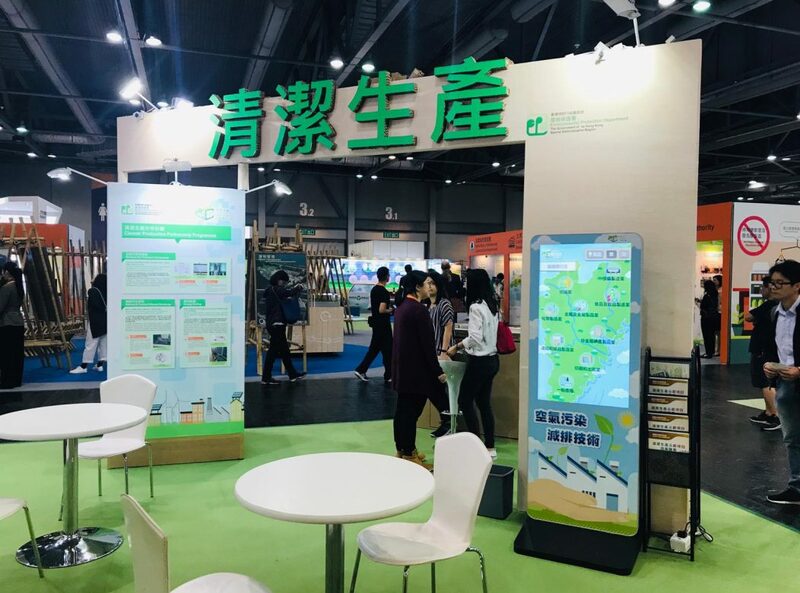 They are launched in ECO Expo Asia 2018 which provides a B2G and B2B trading platform showcasing the latest green products and technologies from over 300 global exhibitors. 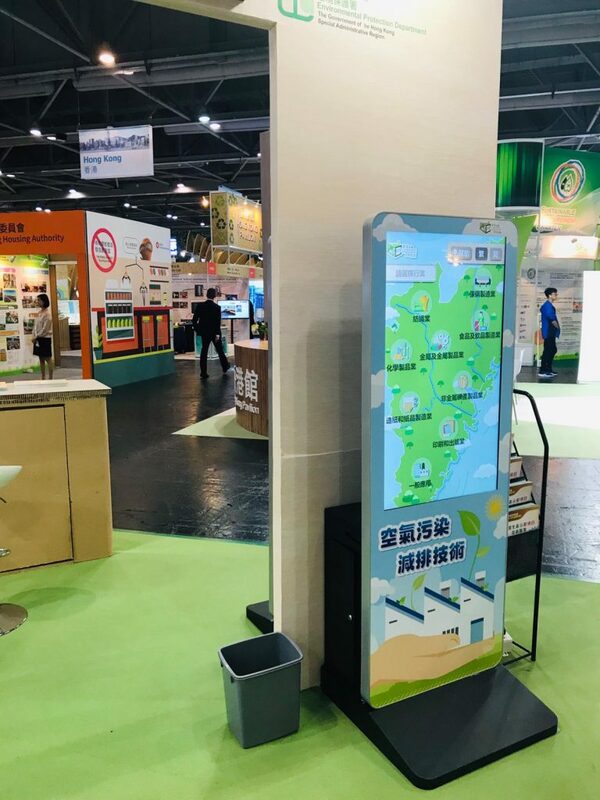 Based on the requirements from the customers, the kiosks are tailor-made and developed. 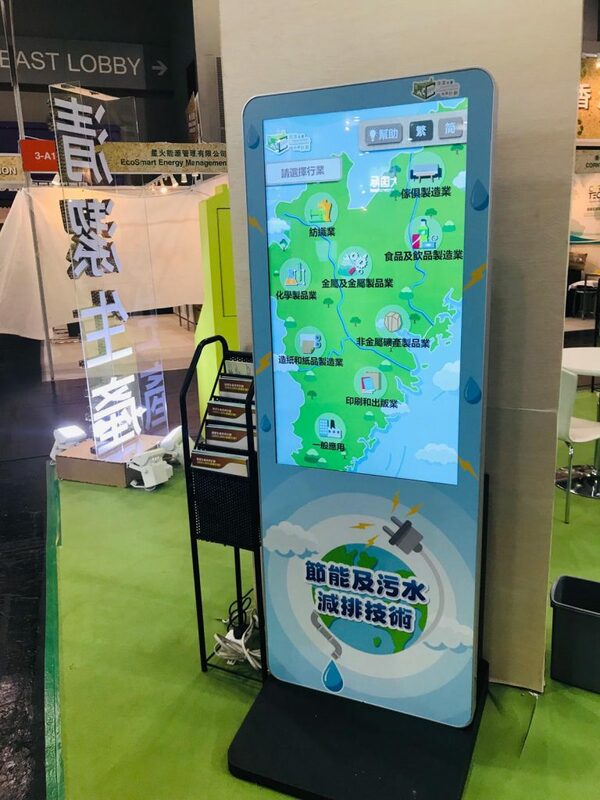 Besides, content management software system is implemented, so our customers can update the info on demand and more easily. 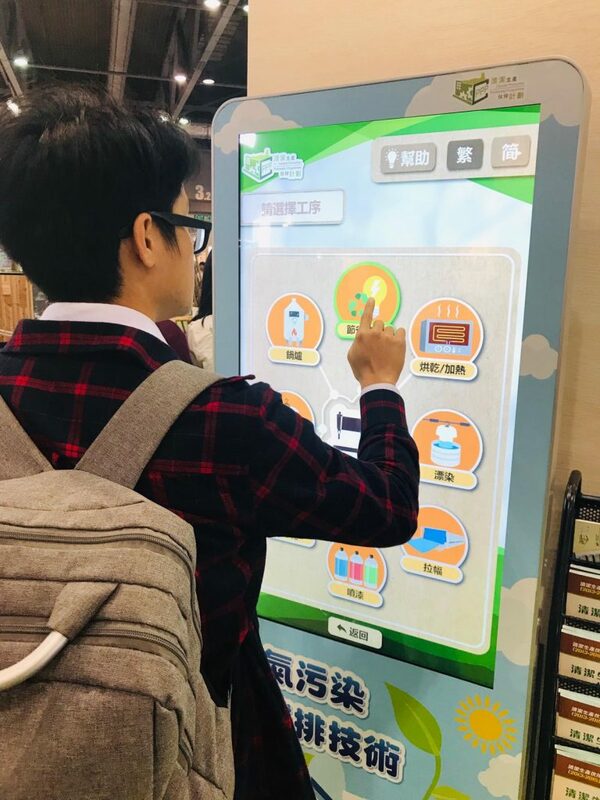 We are so happy to work with our customers with such project theme and their inputs so to develop the wonderful user-interface and software outlook as well as the hardware. 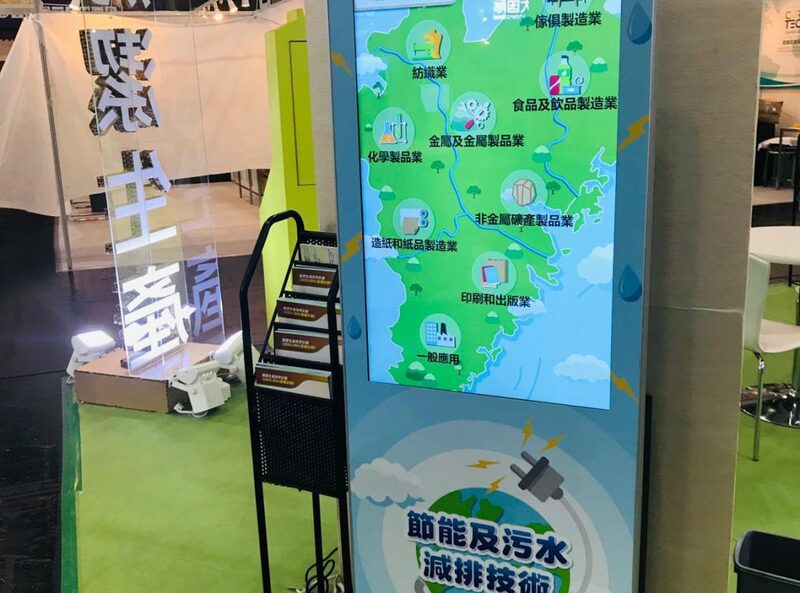 Electrical and mechanical facilities are closely connected to people’s daily life. Hong Kong Electrical and Mechanical Trade Promotion Working Group (Working Group) has put considerable effort into promoting the industry development and organizing various promotional activities to attract youngsters to join the industry. 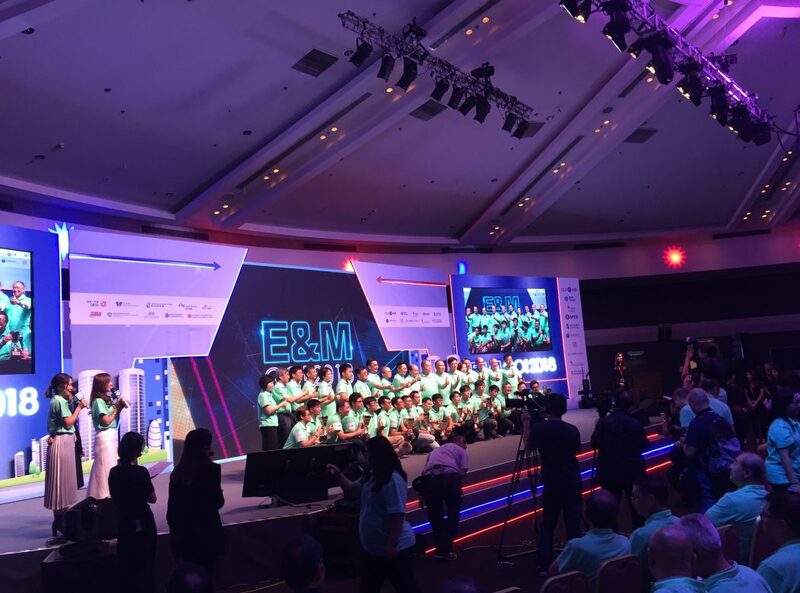 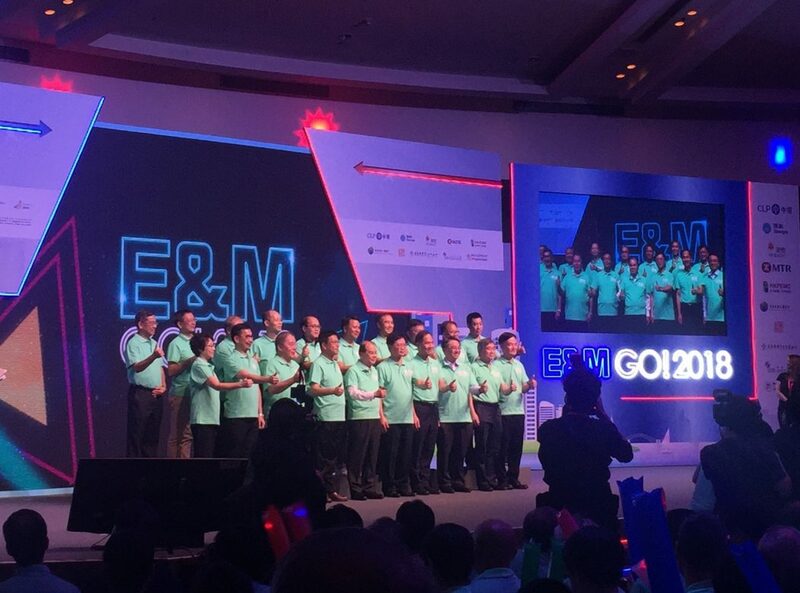 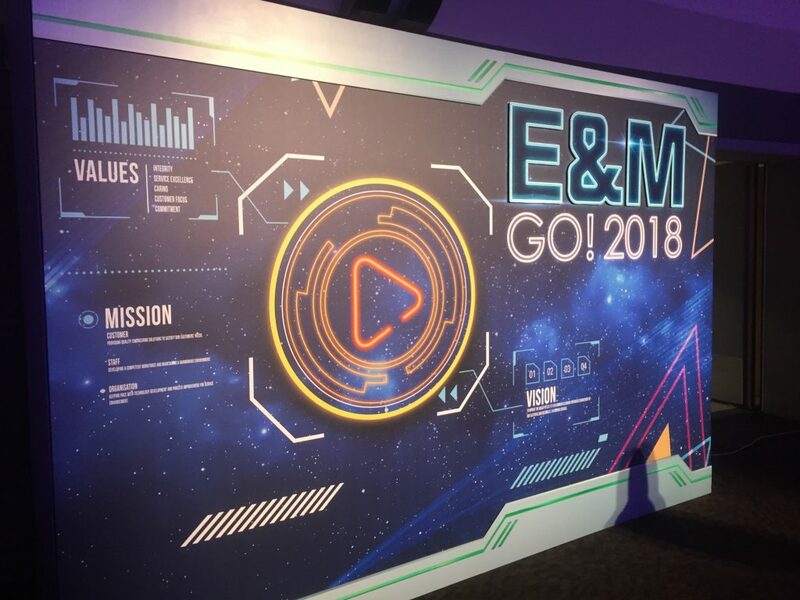 SenMedia has a chance to involve the “E&M Go!” Orientation Ceremony on 20 September. 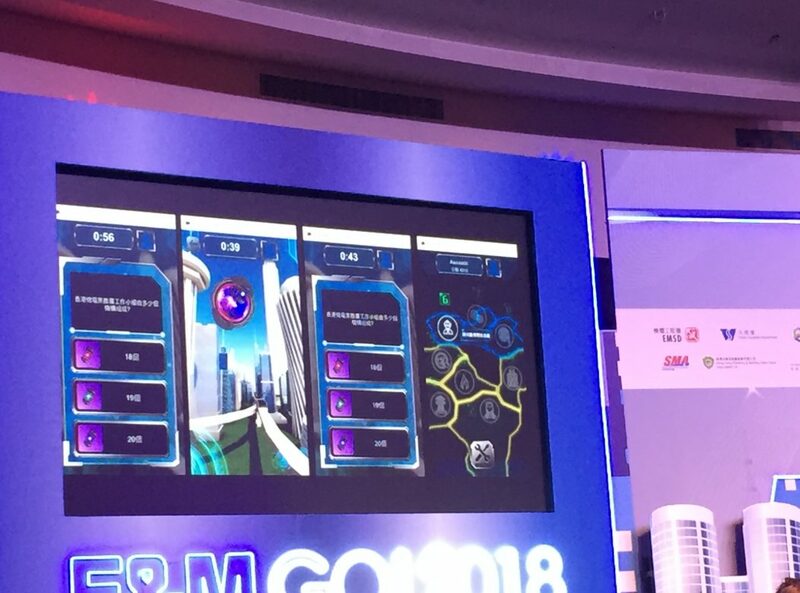 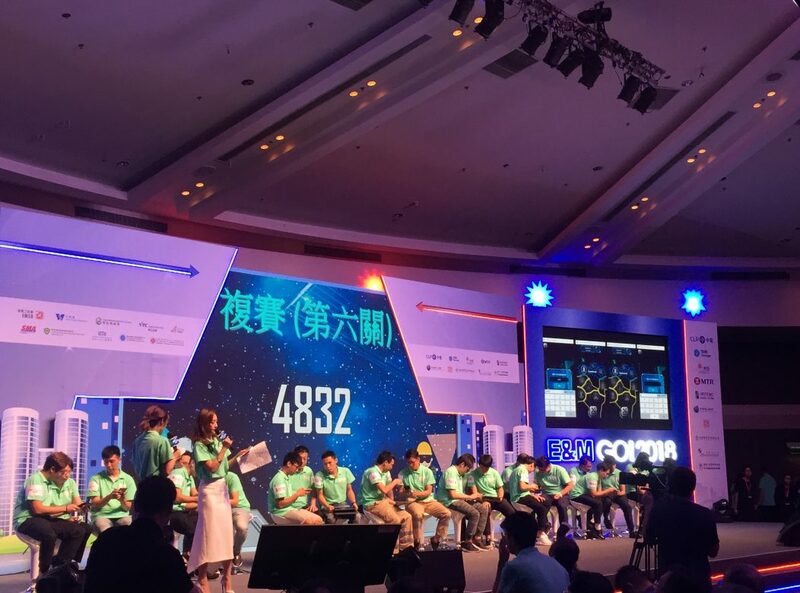 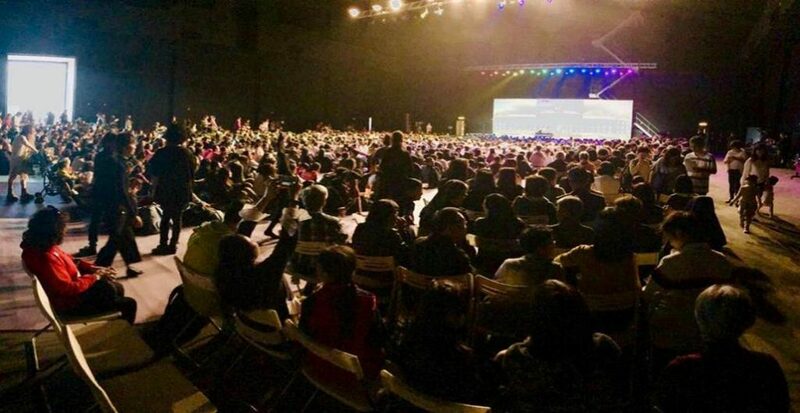 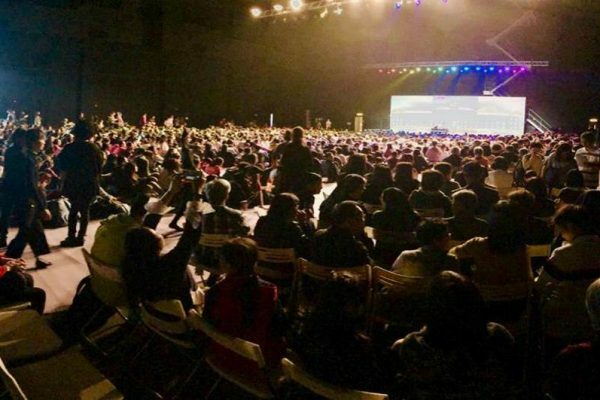 “Esports” is one of the important element in the ceremony this year; thus, we developed the IT system with a mobile game to support around 700 people to have online competition in the same time. Our team was standby to make sure the smoothness of the event. 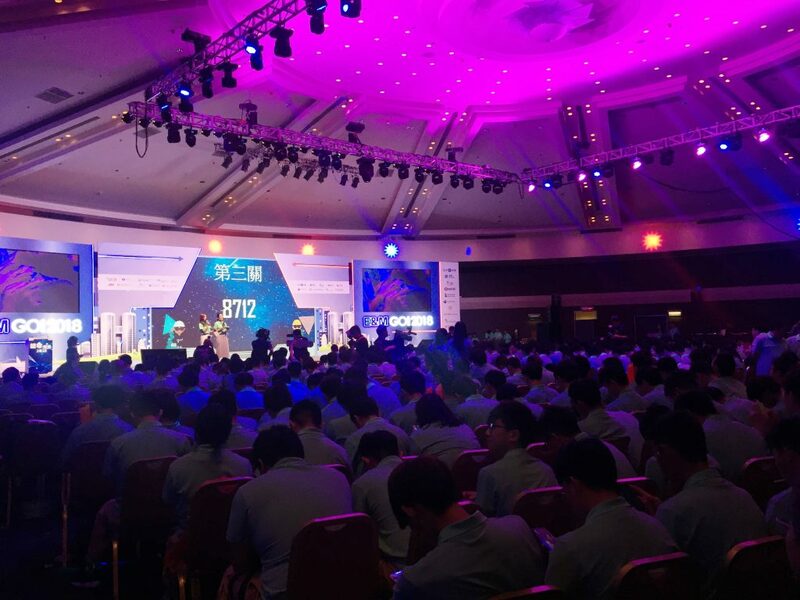 It is a really good experience to us and we are so happy that our technologies can be used in such great event! The Antiquities and Monuments Office (AMO) has set up a 3-Dimensonal (3D) Laser Scanning Survey Sub-unit and they have applied this innovative technology to collect precise 3D survey data by scanning historic buildings. 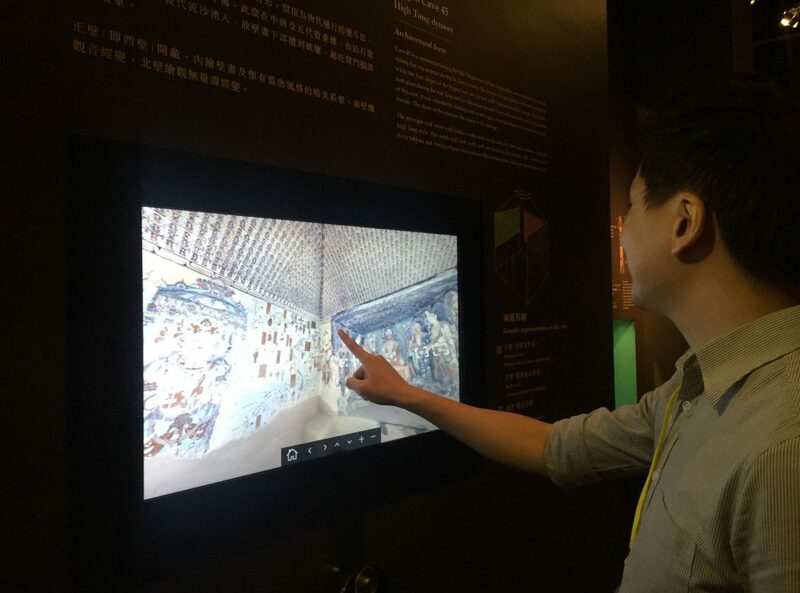 It is our pleasure that SenMedia has involved the exhibition to developed different interactive exhibits such as interactive photobooth, smart touch display with different designs, software development, content development, photo-taking etc., to introduce how AMO applies innovative 3D laser scanning and 3D printing technologies to heritage conservation and education. 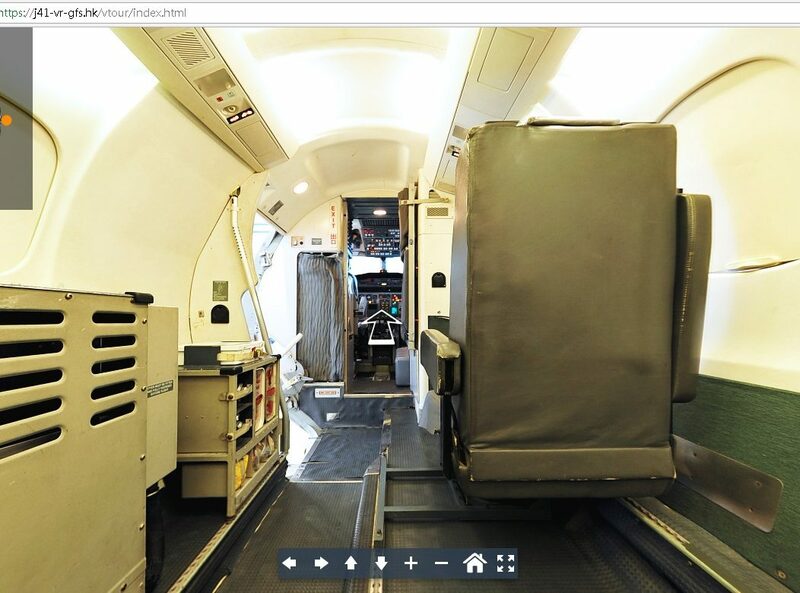 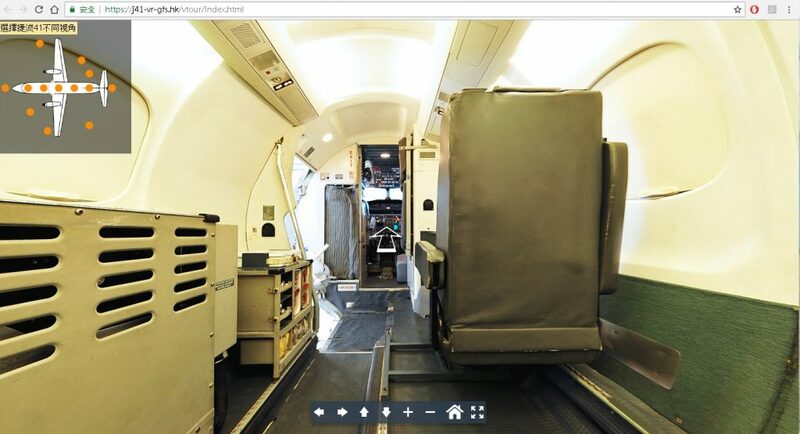 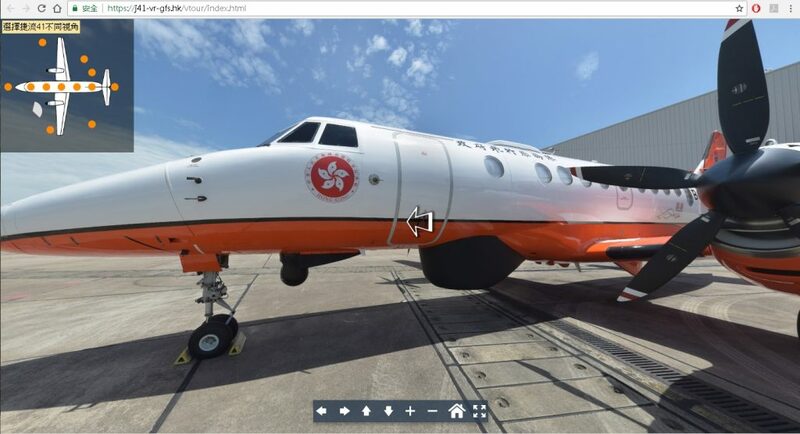 Sengital (SenMedia Team) is pleased to work with Government Flying Service (GFS) to develop Virtual Reality Web System to introduce Jetstream 41 (J41). 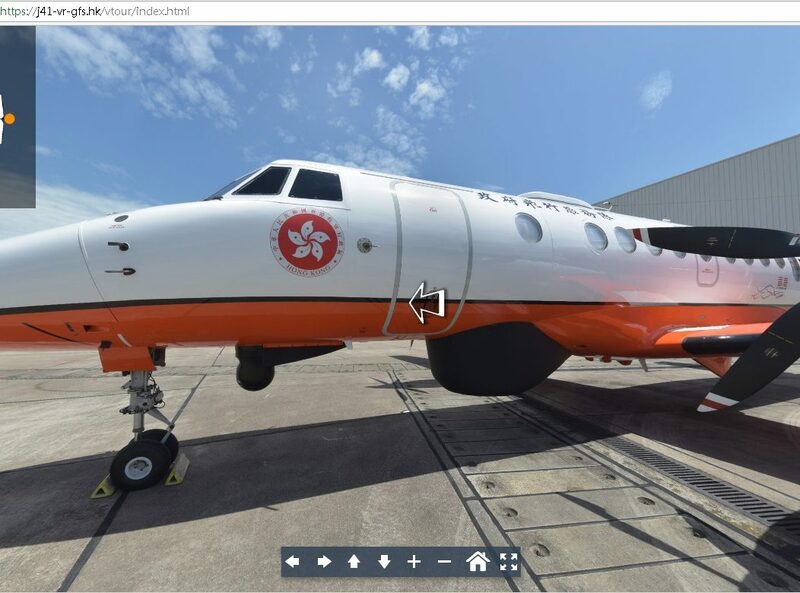 It served Hong Kong from 1999 – 2016, if you want to know more about it, feel free to visit our J41 VR Tour, https://j41-vr-gfs.hk ! 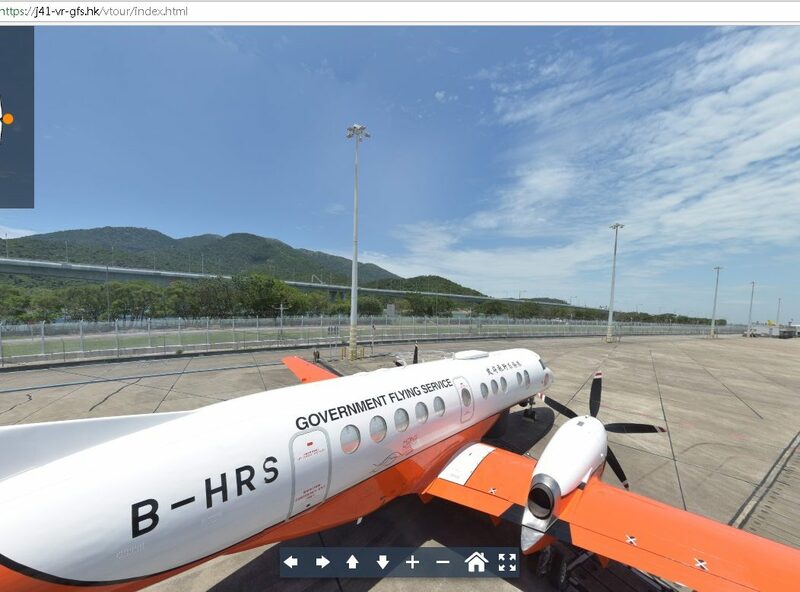 In this project, we helped on the 360 photo shooting, webpage development, IT and sever setup. 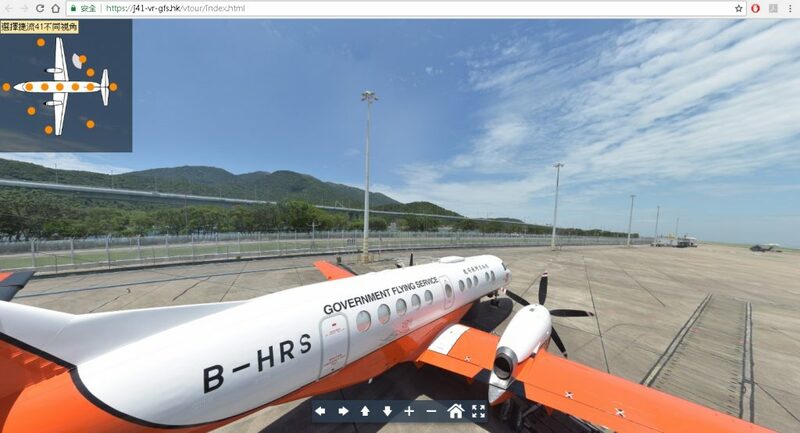 We also handled the load test to make sure the webpage can support many people to visit in the same time. Besides, we worked on the accessibility issue of the webpage and developed the tailor-made content management system to our customers. 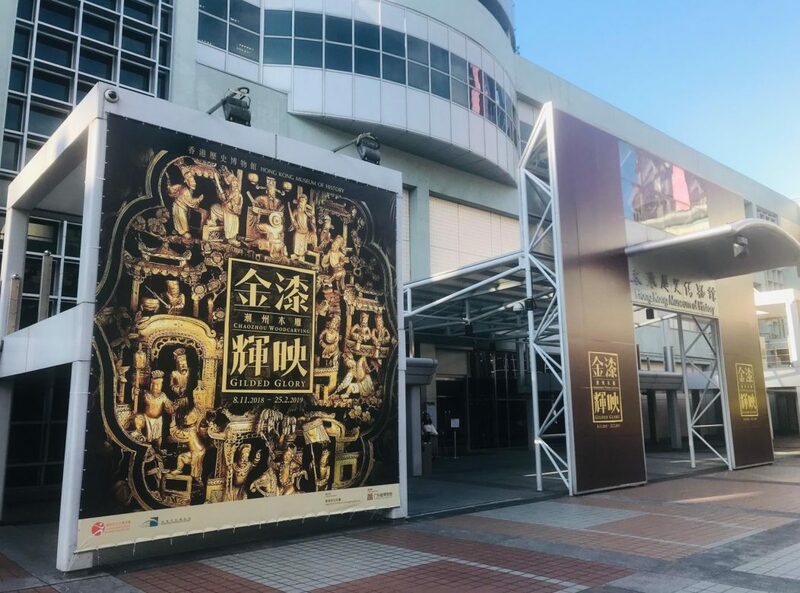 Hong Kong Heritage Museum is delighted to join hands once again with the Dunhuang Academy in presenting another exhibition on Dunhuang’s grotto culture. 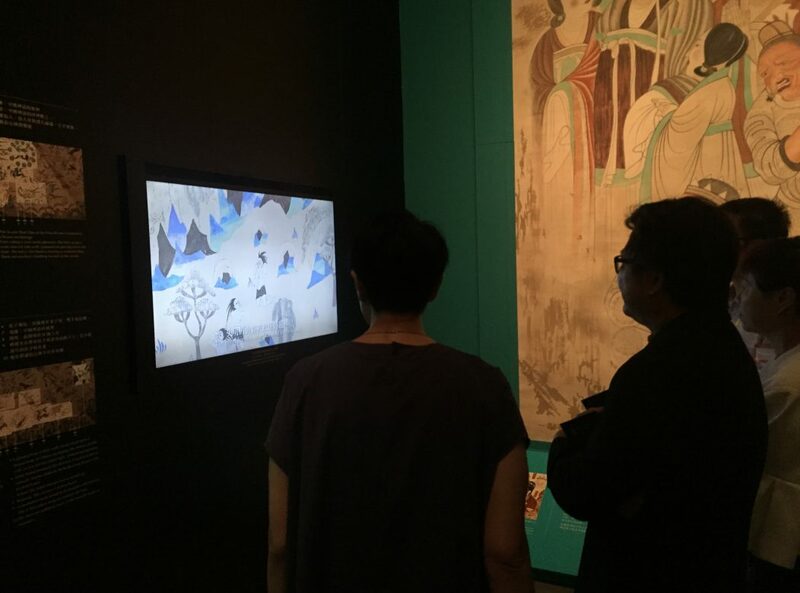 This newly curated exhibition will highlight the achievements of digitization projects of the Dunhuang Academy, together with a presentation of unearthed artefacts, the grotto art of Dunhuang, and the latest multimedia technology, to allow visitors an opportunity to study Dunhuang culture up close and appreciate the stories of the Buddhist realm and the ordinary people. 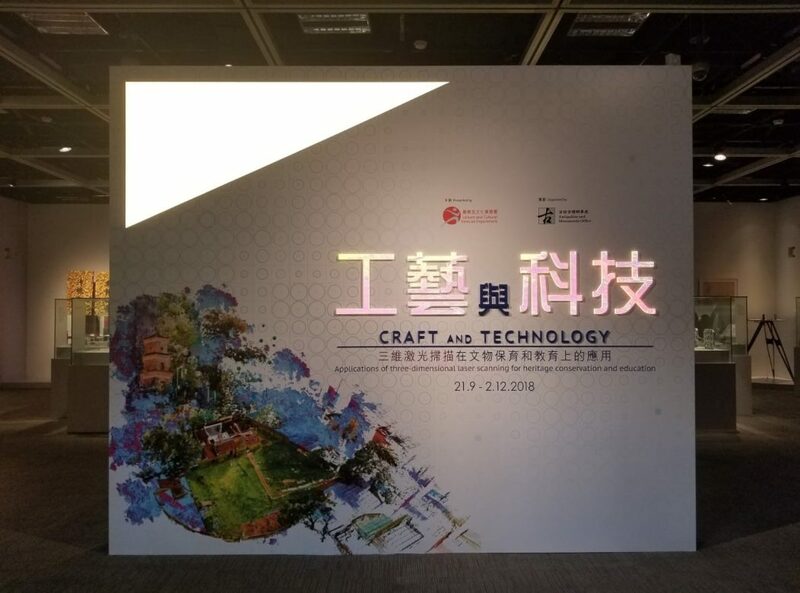 Digitalization includes different kinds of technologies , and we are so excited to bring different technologies such as 360 VR, 3D VR, tailor-made electronic equipment, 2D & 3D animation as well as tailor-made security system to some exhibits. 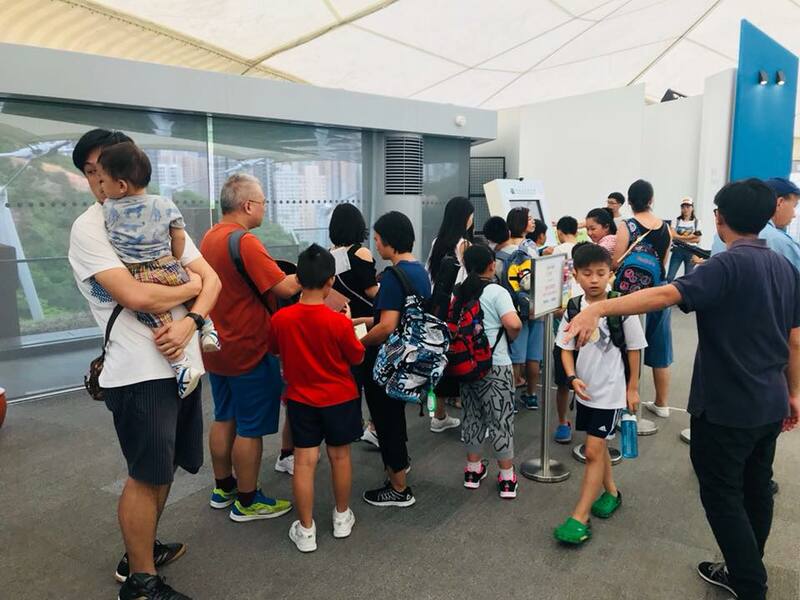 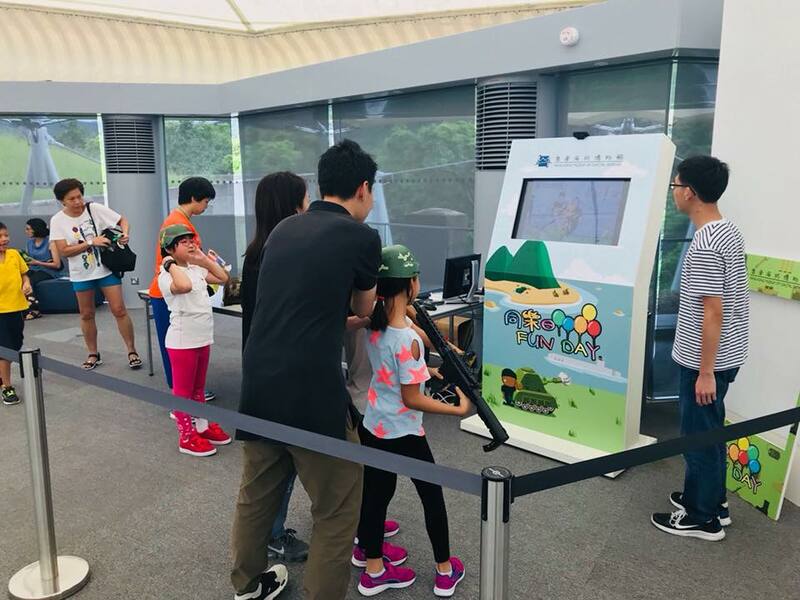 SenMedia has provided an interactive Photobooth in Hong Kong Museum of Coastal Defense Fun Day. 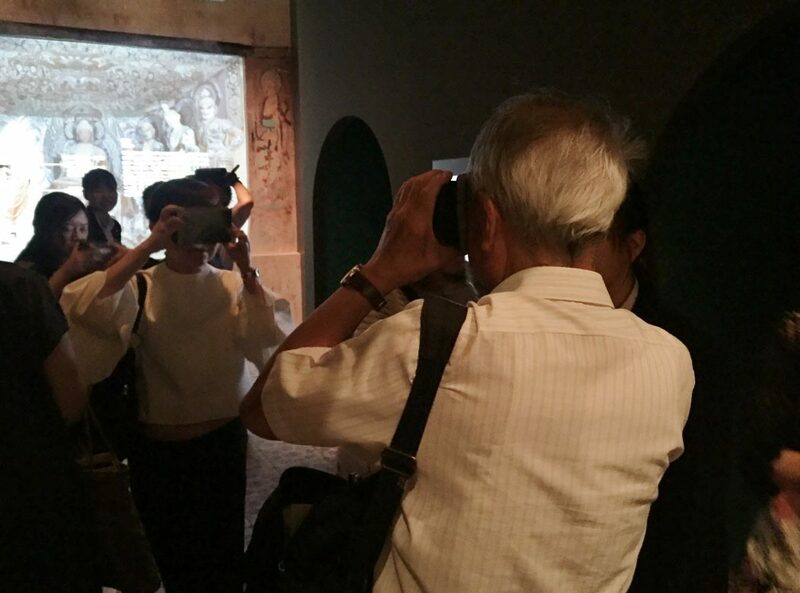 We have provided four photo frames for Hundreds of visitors came onsite to select and take photos! 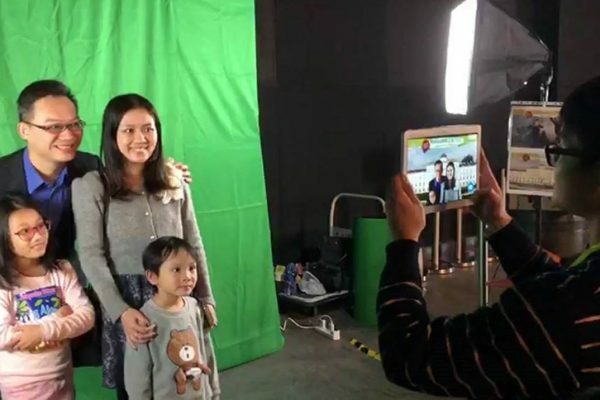 Instant photo printing service also provided onsite. 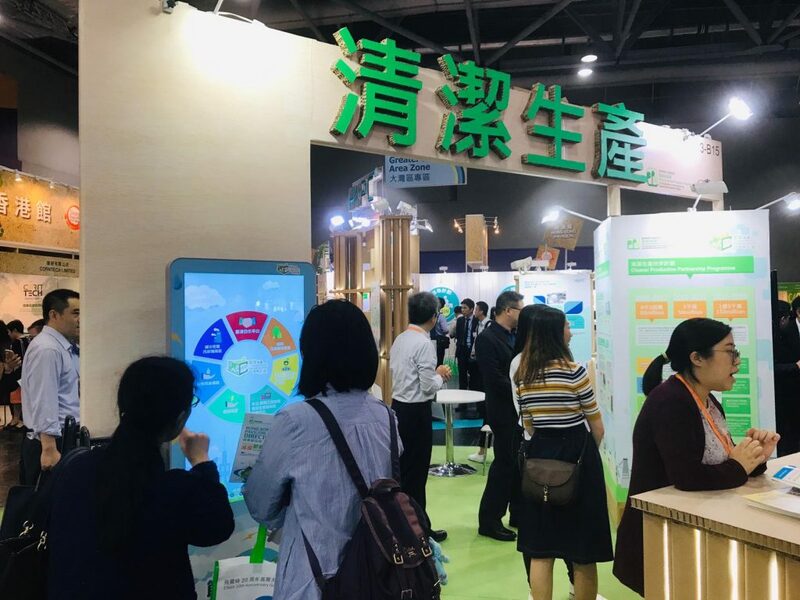 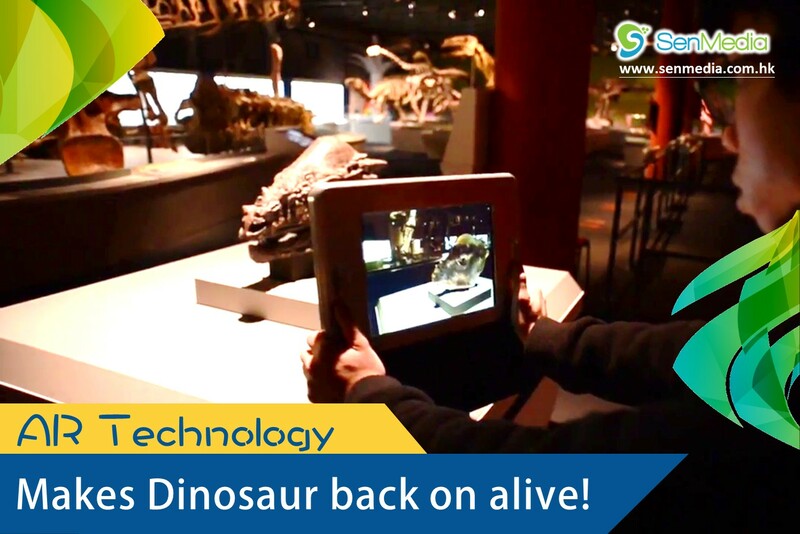 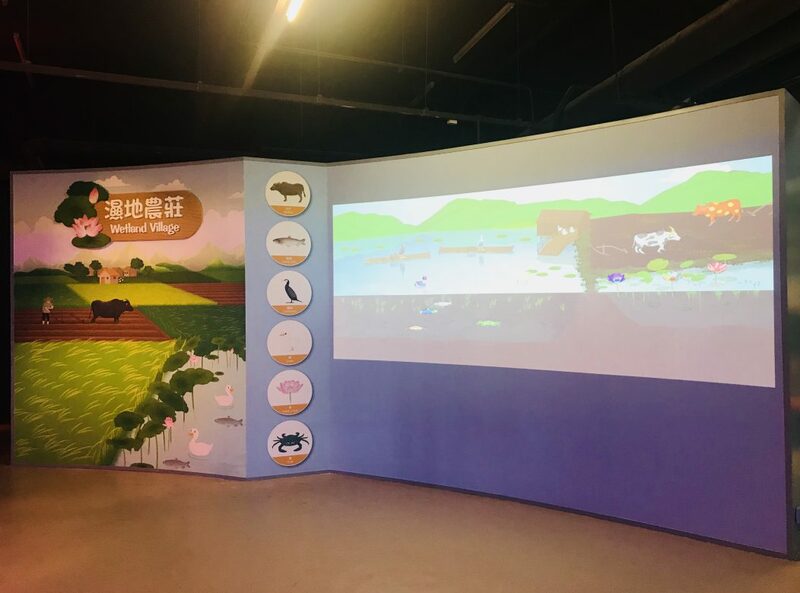 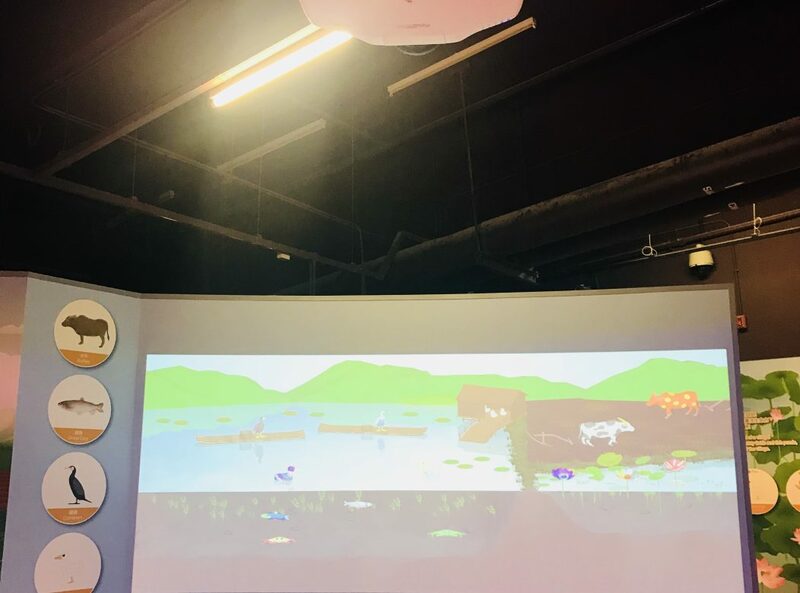 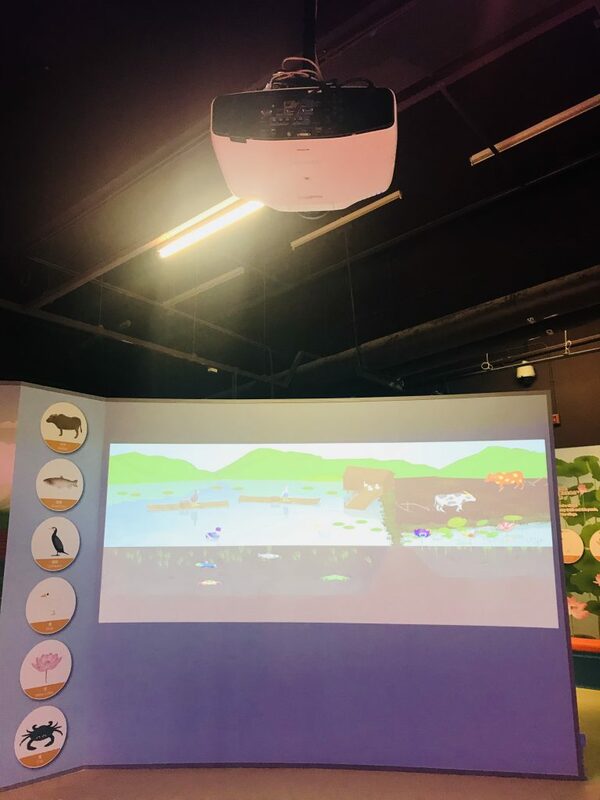 SenMedia is glad to have a chance to provide the service for design, production and installation services of an interactive game on Live Sketchbook with graphics and animations, and associated software programs and augmented reality technology in Hong Kong Wetland Park, AFCD. We had provided the wooden game kiosks with sufficient LED lighting, full HD projectors and Live Sketchbook interactive game. 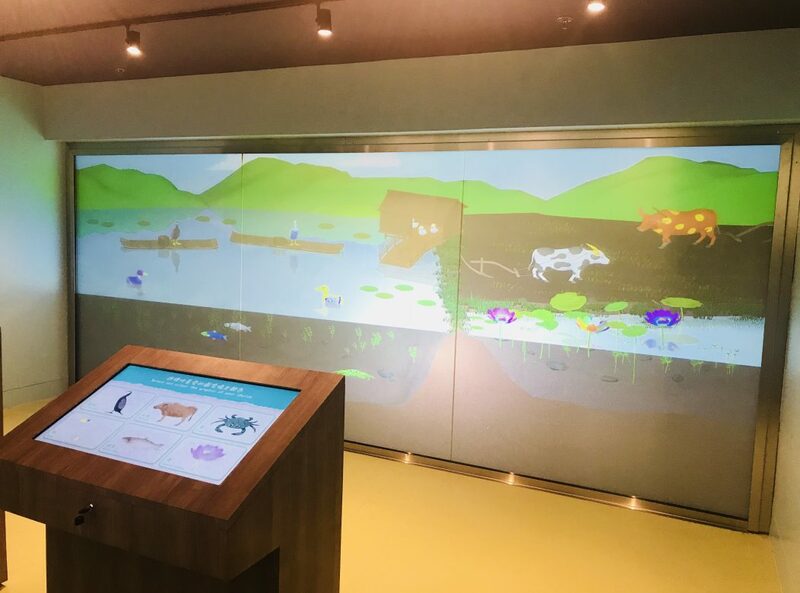 When a visitor starts to plat the game, he will have a selection on the LED panel of the outlined characters from a flip-book. Once a cartoon character is selected, he can follow the guidance for free coloring by his fingers from a selection. If you are interesting, please feel free to visit Hong Kong Wetland Park!